Surprise! I’m back with another post, this time with a picture of my project that is in the current edition of Homespun Magazine (Vol. 12.11), which is The Food, Glorious Food Issue and includes a small profile as well. I thoroughly enjoyed making this table runner for the Christmas table, however it could be used at other times as it wasn’t made using Christmas fabrics specifically. It is entitled “A Pear of Partridges” and features a pair of partridges sitting amongst viney branches of a pear tree. It is quite simple to make, even in time for Christmas. 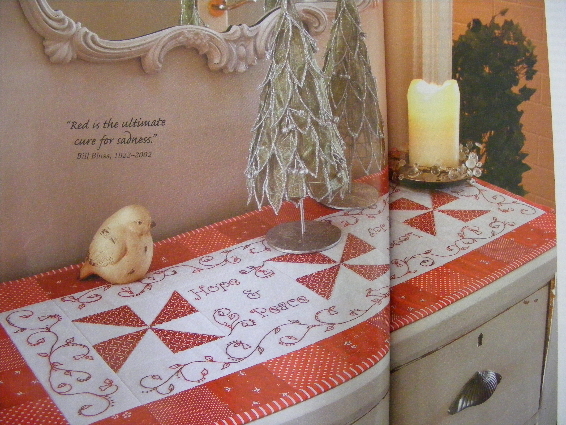 This issue of Homespun can also be viewed digitally. To find out how visit http://www.zinio.com. I hope you have enjoyed this post. It’s now time for me to get back to working on another project for the magazine for an issue next year. 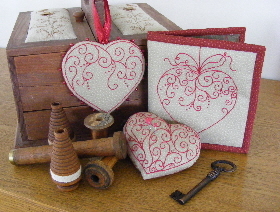 Hope you find some time to fit some stitching in too! My daughter had so much fun making a quilt for her teacher’s new baby. While it took a little time to finish the baby girl certainly hadn’t had time to outgrow it, although originally it was going to be a little bit smaller but we thought we had better add a few rows. She did a great job and her teacher and his wife very very pleased with their gift. The stitcheries were of a dog, duck, cow & squirrel however they haven’t shown up well on the photo. 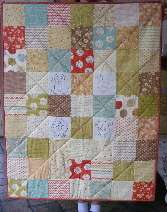 Now this quilt is for my niece’s 21st Birthday and it is finally finished!!! Just a little late for her 22nd Birthday (can you tell I don’t like to rush things!!!!!) but just in time before she heads off to London for 2 years to start her career as a teacher. She probably could do with a nice warm quilt considering where she is heading. 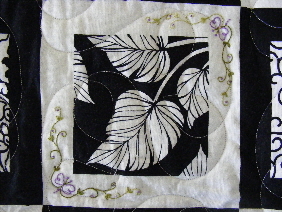 I really should have finished it sooner considering it was pre-printed and only involved me adding borders, however the stitchery I included on it did take a little time. 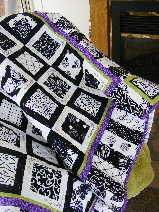 Her favourite colour is purple so I hope she likes the hint of purple in the quilt. Now I just have to hope she doesn’t have time in all her packing frenzy to read my blog before she opens her gift. Well it has been quite a while since I last posted on this blog, to say the least. There have been busy times here and unfortunately I have put my blogging on hold in order to be able to keep up with all the goings on. So I will post a few pictures of what has been happening over the last little (ha ha!) while. Firstly our little boy is no longer so small. 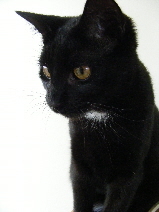 He has grown into a rather handsome young teenager with lots of energy to boot. 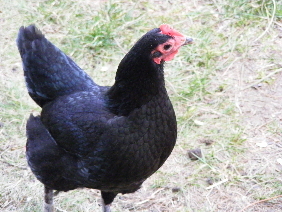 We have added 2 new girls to our brood also. 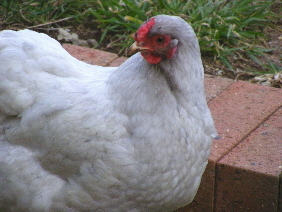 They are Silvermist (a 1st prizewinner at the Royal Melbourne Show) & Cindy, both of which have settled in well and are producing some lovely little eggs. Here are a few pictures of projects that you may have seen glimpses of or in other versions. 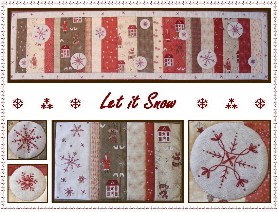 A new pattern made with Lynette Anderson’s Scandinavian Christmas range of fabrics is “Let it Snow” it is a tablerunner & placemat set. Very easy to make, just in time for Christmas. Of course it could also be made in traditional Christmas colours. I just spent a lovely 4 days at the Melbourne Craft & Sewing Show at Caulfield as guest designer on Blue Willow Cottage’s stand. It was lovely to meet lots of ladies from far & wide who had come to the show (even from the US & New Zealand). 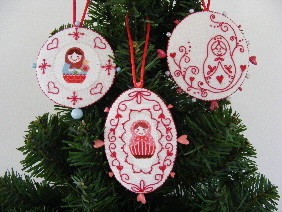 I taught a class involving my latest pattern release called “Christmas Maidens 1 & 2”. All the ladies were quite pleased with learning some new skills and these little decorations were quick and easy to make. Just in time to decorate everyone’s tree. 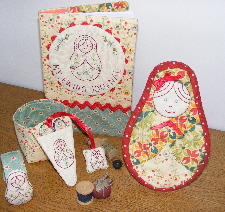 Each pattern comes with 4 small matryoshka applique pieces to make into the dcorations/charms and there is even a stitched version of matryoshka to use in place of the fabric when you run out. They would even make nice tags to place on your Christmas presents. Meanwhile there have been a few projects in the works that are keeping me rather busy that will be released next year, as well as some magazine projects and a few presents in between. Will pop back on another post to show a couple of the presents. It is Melbourne Cup Day here in Melbourne so if you have a flutter I hope you have an enjoyable day. 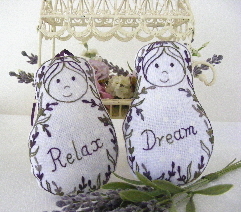 I’m going to be stitching under a blanket with a nice warm cuppa to soothe my current cold that has decided to inhabit my world.